Disney’s upcoming live-action Christopher Robin film will be a story about how Pooh and the other animals from the Hundred Acre Wood journey to the real world in order to meet their long-lost friend. But it’s also a movie about how Christopher Robin will learn to rediscover the magic that made his time in the Wood so memorable. And we can all use a little magic. 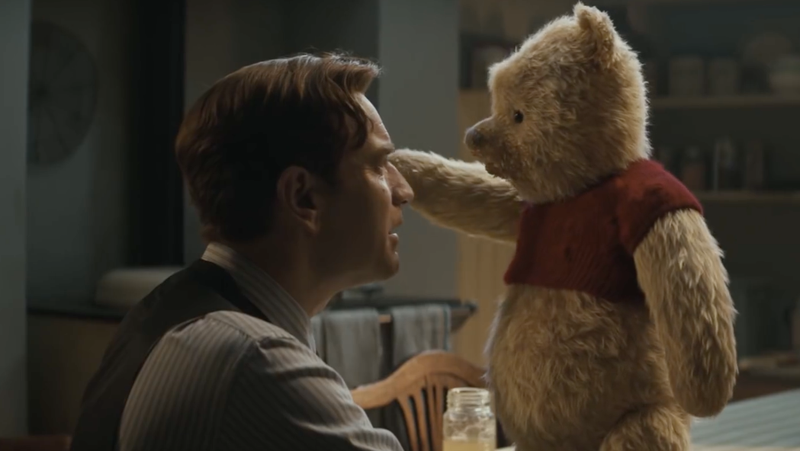 Even though Christopher Robin is ostensibly a children’s movie, it’s plot about an adult realizing they’ve lost touch with the things that make them vibrant, enlivened people is sure to speak to older audiences on a number of levels. In the newest extended sneak peek, we see a lot more of Pooh, Piglet, Tigger, and the rest as they make their way through London on what they think is just another madcap adventure. Quickly, though, the adorable creatures realize that the reason they’ve been called to the “real” world is to restore the extinguished spark of wonder in Christopher Robin’s heart. As cute as Christopher Robin looks like it’s going to be, you have to wonder whether the adult Christopher is going to bother Pooh over shoving his furry paw into pots of honey. Like, he’s a stuffed bear made of cotton and fluff—that stuff gets hella dirty, hella quick. Those are the sorts of things one imagines a neurotic, middle-aged Englishman would be concerned about, to say nothing of the fact that he’ll be walking around talking to toys when Christopher Robin drops on August 3.